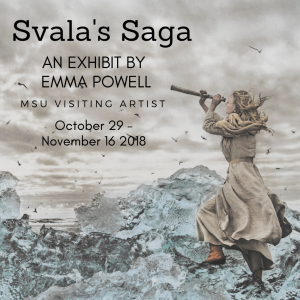 Svala’s Saga is the culmination of years of experimentation by Emma Powell. In collaboration with Kristin Hoving, Powell created a photographic fairytale, photographed in Iceland and printed in the Palladium over Inkjet alternative photo process. 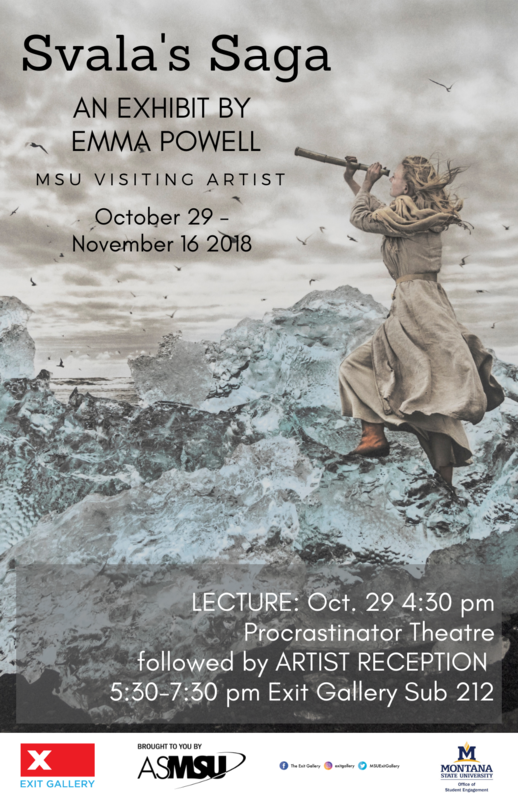 Emma Powell is the Exit Gallery’s Fall 2018 visiting artist. She is currently a Professor of Art at Colorado College. Please join us for an artist lecture, Monday October 29 from 4:30-5:30PM in the Procrastinator Theater. A reception will follow immediately in the Exit Gallery, from 5:30-7:30PM in Sub 212. The exhibit will be featured from October 29th-November 16th.